From Bronze to Silver and now Gold – Sanibel has become one of only two communities in Florida to receive a Gold designation from the League of American Bicyclists. Last month, Sanibel Island was given “Gold” status by the League of American Bicyclists for its dedication to making the community a haven for bicyclists. This upgrade in status was made possible by the Sanibel Bicycle Club, Sanibel Bike Path Committee and the community at large. So what does this mean to the average visitor? It means that Sanibel Island is an amazing place to safely and conveniently explore by bike. The island boasts over 25 miles of dedicated bike paths and trails, making it easy and safe for the whole family to enjoy the adventure. 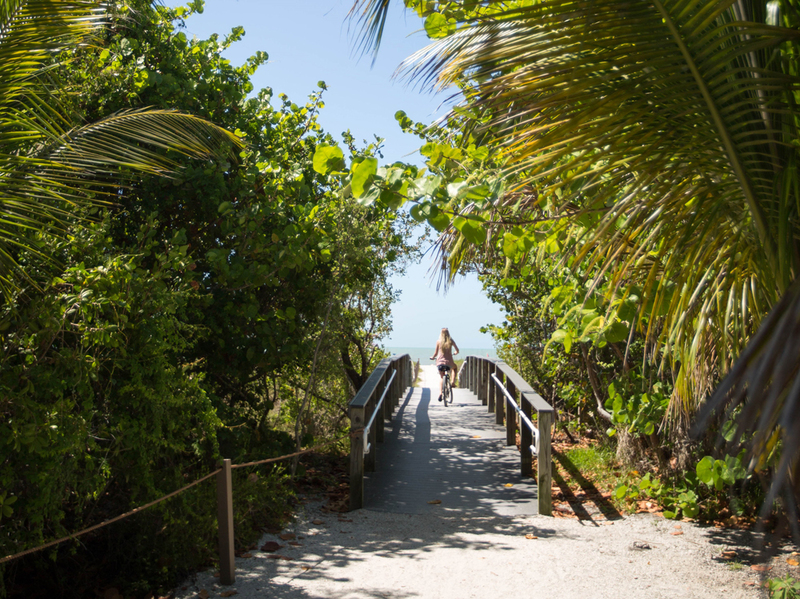 From beach trails to nature rides, you’re sure to find just the route for you. You can discover all of Sanibel’s bike trails at SanibelTrails.com. The best part of all is that at Sundial, we have bikes available for guests to use at no charge! This includes specialty bikes and kiddy carts; we’ve got the whole family covered. There’s nothing stopping you from getting out and exploring today. Who’s ready to go on a ride? 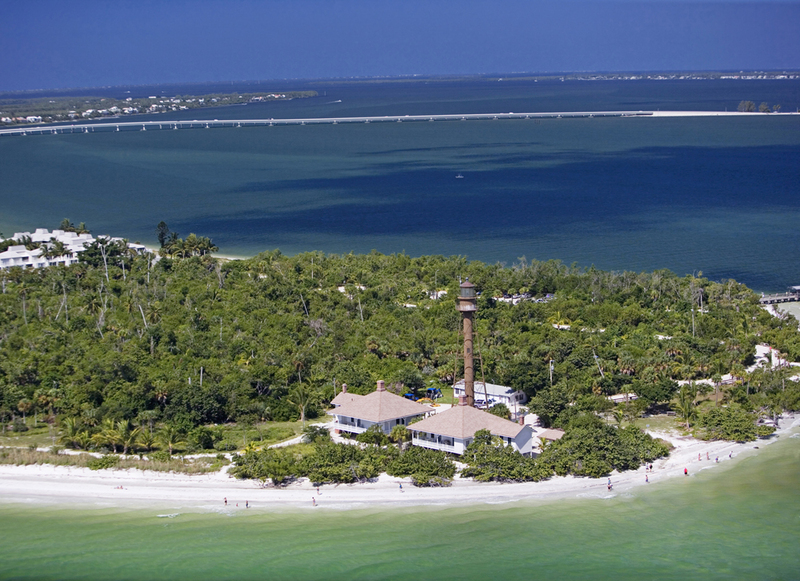 This more than 125-year-old structure is a beloved landmark of Sanibel Island. Ride out to the lighthouse to explore the grounds and get an up-close look at this towering beacon. Nature lovers will love exploring this natural haven. The Darling complex makes up over 1/3 of the island of Sanibel and is a federally protected space. 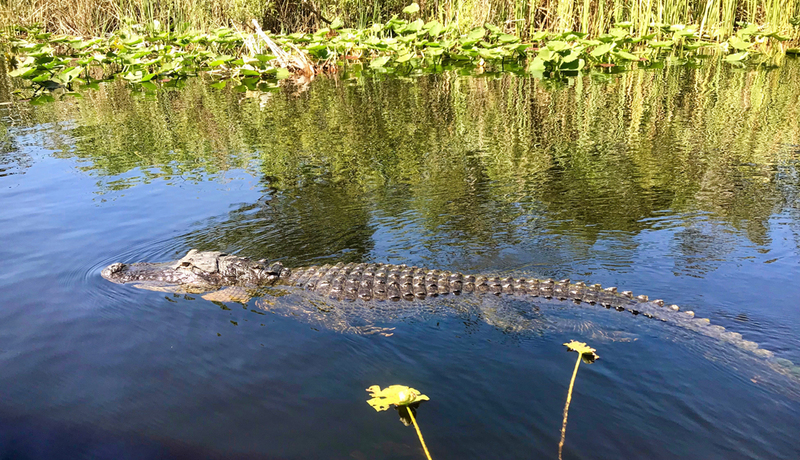 This is a great place to spot migratory birds, get a peek at gators enjoying a sun nap and just all around enjoy Sanibel’s ecosystem. Just a quick ride over to Periwinkle Park will bring you to their aviary. Home to native and exotic species, and even a few lemurs, this is an unexpected attraction that’s sure to bring a smile to any visitor’s face.